Step 1: Ladibugs Mint serum is a pesticide-free product for head lice elimination. Shake well and apply to dry hair. Let sit in hair for 15 minutes. Wash out Mint Serum. Step 2: Ladibugs Mousse is a pesticide-free product for nit and egg elimination. Apply to damp hair. Let sit for 5 minutes. Reapply Mousse and wait an additional 5 minutes. comb through hair thoroughly. Here are our follow-up instructions. Watch our How-To Video to see how easy it is! 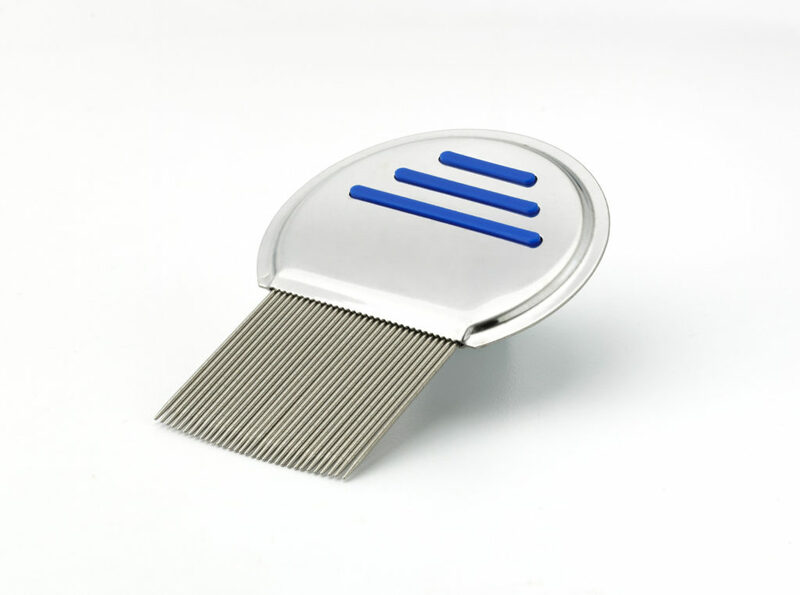 The Ladibugs Lice Comb Uses a layer of precise, stainless steel, and spiral-grooved teeth. This design works effectively to remove both lice and nits, creating less drag on the hair while combing. The metal handle with grip ridges help with control when hands are slippery during lice treatment comb out. We also offer a full line of lice prevention products.